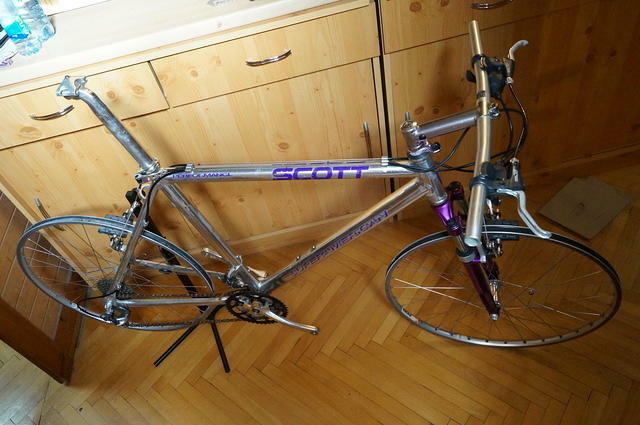 Nice Scott SuperAmerican 18.5" c-c (20" c-t) frame, plus silver Marzocchi XC700 suspension fork and including Ritchey seatpost, Ritchey headset, stem and handlebars. 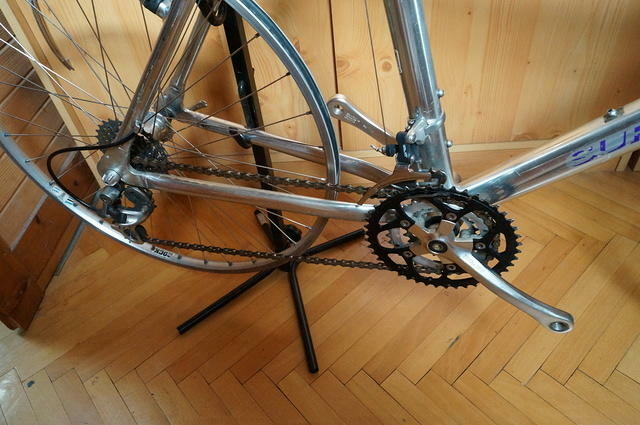 The groupset and fork shown in the pics are sold but I've got similar ones available, if required. £50 plus postage for the lot and can include XT M737 wheelset for £30. Last edited by cybernck on Sat Feb 02, 2019 11:28 pm, edited 6 times in total. Hm, that's not a XC400. Oh, I thought 500 and 600 had those holes. But more importantly.- what is it then? I just searched for it, according to the brake booster it might be a MX100 .... or a XC100 (same design, but I have only pics about XC100 in silver). Does Dr Marzocchi need to search? Yep, looks like it, thanks! 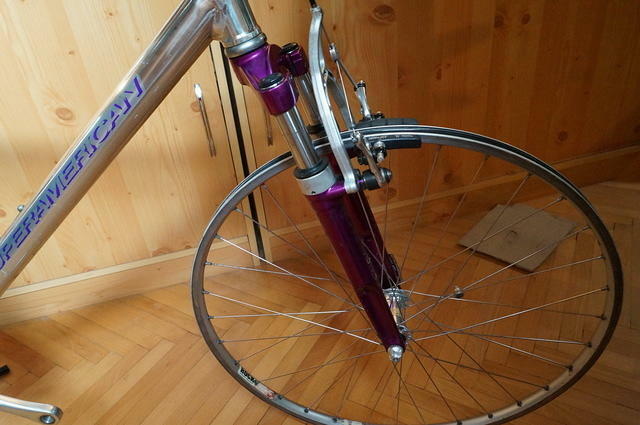 Have you got a service kit for this fork perhaps? Yes, I'm always a little bit confused because the numbering for the Marzocchi forks is very irritating. 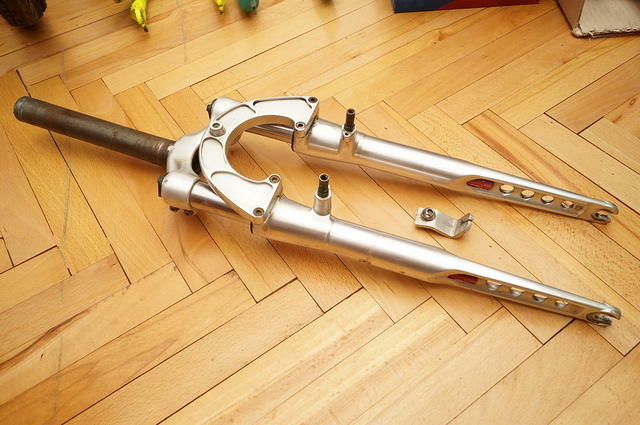 Best would be best to dissassemble the fork and check the parts in detail. May be some rings are corroded or something else is not as it should be. OK, I'll see if I can be bothered with it (but probably not). More of a Rock Shox guy myself . Are the wheels included in the sale? 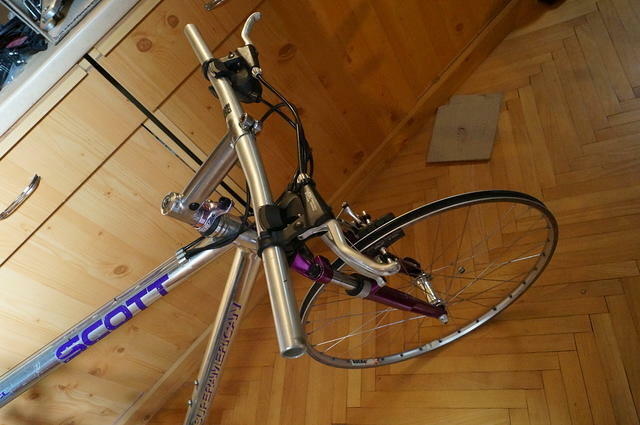 Though I also may just service and complete the bike and sell it like that.